Open House Dates: Early Childhood, Sept. 20, Oct. 18, Nov. 15, Dec. 13, 2018, 9 a.m.; Lower School, Sept. 27, Nov. 1, Dec. 5, 9 a.m.; Middle School, Nov. 11, 1 p.m. To schedule other tours, see www.aoshouston.org. Firmly established almost 50 years ago as The School for Hearts and Minds, we offer an innovative academic curriculum, an open and loving spiritual experience rooted in Eastern Orthodox Christianity, robust fine arts and athletics, extensive extended-day programs, and a joyous parent community. Open House Dates: Wednesday, Nov. 7, 2018, 9:30 a.m.
We nurture children to grow intellectually, socially, emotionally, spiritually, and physically through a developmentally appropriate curriculum that respects each child. We believe young children learn best through play and need opportunities to investigate their interests in a meaningful way. We understand that children’s growth and development is enhanced by the respectful, individualized relationships developed between the teachers and parents. Family and community participation are a priority in creating a positive environment for the children and our families. Beehive provides intellectual, social, emotional and physical experiences to meet the needs of the whole child. The program is designed to foster positive feelings towards school so children will leave eager to continue learning in all settings. Because they attend with their child, parents demonstrate the value they place on education and encourage a lifelong habit of learning. Beehive provides parents with opportunities to increase their knowledge about child development and gain valuable parenting skills. Open House Dates: Call to schedule a tour. Bethany Christian School is a play-based learning preschool that emphasizes self-esteem, respect and socialization for young children. We promote a positive attitude toward learning in a safe and loving Christian environment for children ages 18 months to 5 years. Open House Dates: Oct. 17, 2018, 10 a.m., Nov. 13, 10 a.m., Jan. 24, 2019, 9:30 a.m.
Children are a gift from God. We build a strong foundation for faith, learning, creativity, community and confidence so that your children grow confident in God’s love and fully prepared for life. Open House Dates: Oct. 24 and Dec. 5, 2018, 9 a.m., Jan. 23, 2019, 9 a.m. The Fay School is a nonsectarian, not-for-profit, co-educational school in which children of diverse talents and backgrounds with average to above average academic abilities are offered a high-quality education in a secure, nurturing, and academically challenging environment. Here children learn and grow intellectually, physically, socially, ethically, and artistically while developing self-confidence and a lifelong love of learning through an active partnership among educators, parents, and students. First Baptist Academy’s mission is to equip students with the Truth of God’s word while developing their character, intellect, and potential to explore, create, challenge, and lead. The Independent School Association of the Southwest (ISAS) accredits First Baptist Academy. ISAS membership provides FBA with high-level networking, benchmarking, and professional development with the top schools in Houston and the country. Open House Dates: Sept. 26, 2018, 9 a.m., Jan. 23, 2019, 9 a.m.
Grace School’s mission is to provide a rigorous educational program that embraces the teachings of Jesus Christ in a safe and inclusive environment. Our vision is to inspire compassionate, thoughtful students eager to engage in the world around them. Open House Dates: Nov. 7, 6:30-7:30 p.m. The Kipling School was designed from the ground up as a top-of-the-line facility for our most precious gift, our children. We instill a love of learning for future success, teaching values and setting goals, while providing your child with unparalleled care and support. Our childhood programs focus on cognitive, emotional and social growth, while our kindergarten through sixth-grade curriculum will challenge your child to build self-confidence, good citizenship and friendship. We help your child excel beyond the textbook. Open House Dates: 18 months through age 4, Jan. 30, 2019, 11:45 a.m.-12:30 p.m.; Bridge Class and Kindergarten, Jan. 31, 2019, 7-8 p.m.
We are committed to teaching the whole child. Our curriculums are age appropriate and holistic, so that children learn life skills as well as academics. Children discover Christian faith through an atmosphere of love and concern. Our goals are to support each child in early development so he or she can become a confident, self-sufficient and caring individual. Open House Dates: Early Childhood/Lower School, Oct. 17, 2018, 6 p.m.; Middle School, Nov. 14, 2018, 6 p.m.
Open House Dates: Sept. 25, 2018, Oct. 23, Nov. 11, 10 a.m.-2 p.m.
Inspiring joy in learning, Rainard is Houston’s only school dedicated to gifted education. 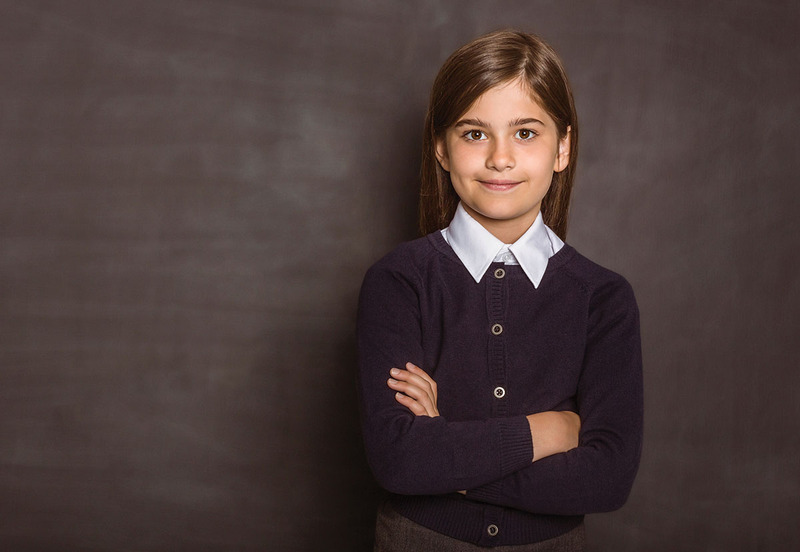 Our educators create a personalized curriculum that is uniquely suited to the needs of children who have been identified as academically gifted. As a result, bright students thrive in an inclusive and rigorous school environment. ROBS melds ambitious academics with abiding Christian values, preparing students to identify and solve nuanced problems in an ever-changing world. Through our student-centered approach, ROBS will challenge your child to be the example of an eager mind guided by a faithful heart. Our graduates become leaders in Houston’s top high schools, premier boarding schools, and beyond. If your hopes for your child include intellectual curiosity and a strong moral compass, come visit us. Open House Date: Oct. 23, 2018, 9 a.m. Families choose The Shlenker School because of the school’s commitment to an outstanding secular education with integrated Jewish learning and values. We provide an outstanding education that prepares our students for the next stage of their academic life. We foster the whole child in a developmentally appropriate learning environment that is nurturing and challenging. When you visit, meet our faculty, and speak with Shlenker parents, you will understand why Shlenker graduates have become scholars, professionals, and leaders within and beyond our community. Since 1930, St. Anne Catholic School has been committed to teaching the Basilian philosophy of “Teach Me Goodness, Discipline, and Knowledge,” in a nurturing environment. The St. Anne philosophy embraces the uniqueness of the whole child and celebrates the diversity of the student body. In collaboration with the family as a partner, St. Anne endeavors to provide an opportunity for the optimal growth of each child, while celebrating our Catholic heritage. 11740 Joan of Arc Dr.
Our mission at St. Cecilia Catholic School is the ongoing Catholic formation and education of the whole child in mind, heart, and spirit, in preparation for an adult life of commitment and service. Open House Dates: PS-8th, Nov. 7, 2018, 9 a.m., March 6, 2019, 5:30 p.m.
St. Mark Lutheran School has integrated Christian principles and values with a demanding academic curriculum since 1949. Students benefit from high academic standards, competitive athletics, computer-assisted learning including a 1:1 iPad program for 5-8th grades, and diverse fine arts opportunities. Our dedicated teachers know their students personally and give them the guidance, encouragement and challenges they need to realize their full potential. Open House Dates: Oct. 24 and Nov. 7, 2018, 6 p.m.
Open House Date: Oct. 5, 2018, 9:30 a.m. Established in 1954, St. Michael Catholic School integrates faith and knowledge in the tradition of providing a Catholic education to boys and girls from pre-kindergarten through eighth grade. We educate the whole person, promoting growth and development of the mind, body and spirit. We take pride in the history of our Catholic beliefs, while cultivating the values of faith, conscience, scholarship, and service to empower our students to be leaders and good stewards of the community. Open House Dates: Tour dates are 9 a.m., Oct. 4, Nov. 8, Dec. 6, 2018; Jan. 11, Feb. 7, Mar. 1, Apr. 4, May 9, 2019. St. Stephen’s Episcopal School educates students 15 months-8th grade using the curricula of Montessori and IMYC with a fully integrated and robust fine arts program. At St. Stephen’s, students are valued for who they are. We are a proud progressive Episcopal school, rooted in our values, accepting families of all faiths, backgrounds and lifestyles. Our students approach challenges from multiple perspectives and have the confidence to question, create and contribute, ultimately matriculating to Houston’s finest private and public high schools. Open House Dates: Oct. 7, 2018, 2:30 p.m.; Nov. 11, 2018, 2:30 p.m.
St. Vincent de Paul Catholic School is a 2016 Blue Ribbon and fully accredited school. Its mission is to develop students to their fullest potential in an environment permeated with Gospel values. Trafton Academy provides the environment and opportunity for the maturation of each child into a well-adjusted adult, equipped to succeed in the world in which we live. Education is student-centered; each child is recognized as an individual with unique interests, needs, and abilities. Students learn most effectively in low student-teacher ratio environment, and class sizes do not exceed twenty students. The staff is dedicated to cultivating a love-of-learning in students while helping them develop organizational skills, a strong work ethic, team spirit, discipline, and self-worth. Open House Dates: Please call for Open House information. A Children's Village is a licensed Preschool/Mother’s Day Out program for children ages 6 months (by Sept. 1) through pre-K. We offer differentiated curriculum adopted from two popular programs: FunShine Express and Mother Goose Time. These are aligned to Texas State Standards and provide activities that support cognitive, motor, language, social, and emotional development. They also include faith-based lessons – Experience God & Faith Lesson – that link directly to the monthly themes. These lessons are consistent with the Christian principles of West U Baptist. Open House Dates: Jan. 24, 2019, 5-7 p.m.
Yorkshire Academy, a private school located in the Memorial area, was established in 1984, with its primary goal being to create an environment in which children can develop to their fullest potential at their own individual rate. Students range in age from 18 months to Grade 5. Yorkshire’s extensive afterschool enrichment program offers classes as diverse as coding, yoga, chess, piano, tae kwon do and dozens more. Its summer program consists of academics, over 50 enrichment camps, theme-based camps for little ones, and full time care. These programs are open to the community, and attract families from all over the Houston area. Yorkshire invites you to visit to see for yourself why its tagline, “A Little School Making a Big Impact,” rings so true.